My Africa Is has been a similarly heart-felt enterprise for Garrick herself. Having spent her formative years in Nigeria, she studied TV and film in the US and worked in media in Paris, London and NYC. In 2010 she started the Vote Or Quench campaign to encourage young Nigerians to vote and moved back to Lagos where she shot the first trailer for what has become one of many films shining a light on everyday innovations across Africa. Now based in DC, it’s been a long road to producing this first full-length TV documentary. Here she shares her journey. What was your original mission? My Africa Is came about while working for AfriPop! with some amazing African women sharing contemporary pop culture coming out of the continent. I wanted to go back to my original aspirations of creating magic with film. Certainly bringing the magic that makes you fall in love with cities like New York or Paris to African cities. I started shooting for the web. Whatever little money I could scrounge up I put into the project. I told stories about Lagos, Luanda, Lome and Dakar, met amazing people such as Bilikiss Abiola of Wecyclers and accessed parts of cities that others wouldn't get to see, like an abandoned skyscraper in Lagos or this little bite on the coast of Dakar where kids go fishing and dive into the Atlantic. We also participated in the Making Africa exhibition, currently at the Guggenheim Bilbao in Spain. It was a long time before I got any significant funding for filming but that built up stamina and perseverance. At the end of the day we're just here to figure out how we want to spend our lives, and I'd rather spend mine making films. I was inspired by what was happening in East Africa with Ushahidi, which paved the way for freer elections in Nigeria, and wanted to know what the dynamics were that made for such innovation to come out of the city. The first grant I wrote to fund the film got rejected but it led to conversations and consultations with professors about the youth in Nairobi - their need for reinvention and self definition that strayed from tradition. They were looking for a different way of life and to be masters of their destinies. My second grant application with the National Black Programming Consortium: NBPC 360 won funding for the pilot episode. "The main takeaway is the potential that exists with Nairobi's youth and the need for employment"
Who features in the film? We have two video game developers Salim Busuru and Andrew Kaggia who are creating games that are wholly inspired by Kenya. All Andrew wanted was for aliens to invade his city while Salim’s game reminisces about chasing chickens with a slingshot as a kid. We had Moses Gichanga, who taught himself how to be an engineer focusing on aerial objects and seeing how they can be applied to save Kenya's wildlife. We also covered the rock scene by following bands Parking Lot Grass and RashBand. Through their eyes we were driven by the idea of looking at alternative realities and ways of being. What will viewers learn about Nairobi today? The main takeaway is the potential that exists with the city's youth and the need for employment. Their lives allow us to imagine the diverse and unconventional areas that can be built up. 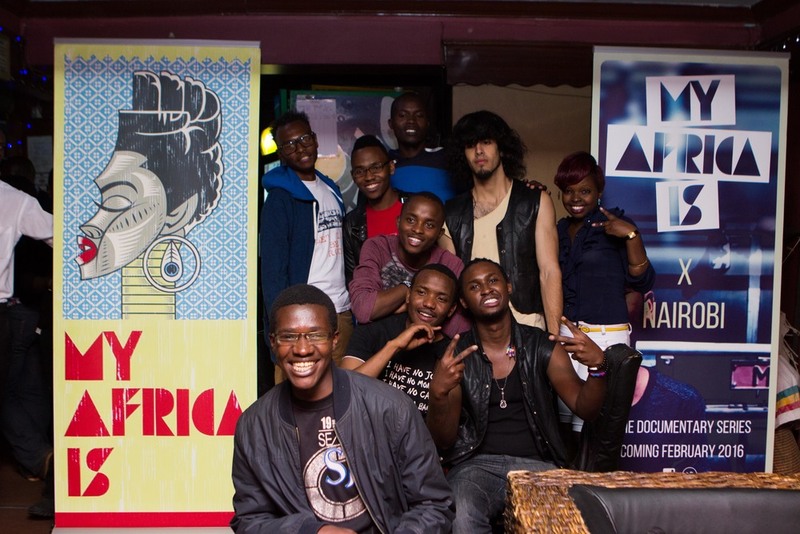 Nairobi was also voted one of the world's most intelligent cities, which this film expresses to a wide audience. What do you hope My Africa Is inspires in terms of change? We hope to give our subjects more exposure so that they can get the right investment or form the right relationships. As our platform is on public television and accessible to 65 million households, we've had individuals reaching out to us from across the US from various age groups and demographics telling us how much we're changing their perceptions. But these films are just as much for the folks on the continent and the diaspora as they are for the people in the US. I'm more interested in fostering partnerships on the continent to be quite frank. I don't think we realise how much we can learn from one another or from tapping into the power of pan African collaborations. What’s next for you, and for My Africa Is? We're focused on spreading the gospel of My Africa Is and promoting the show far and wide while we hunt for stories for the first season. I'm also working on some fiction and expanding my range as a director and filmmaker beyond documentary.